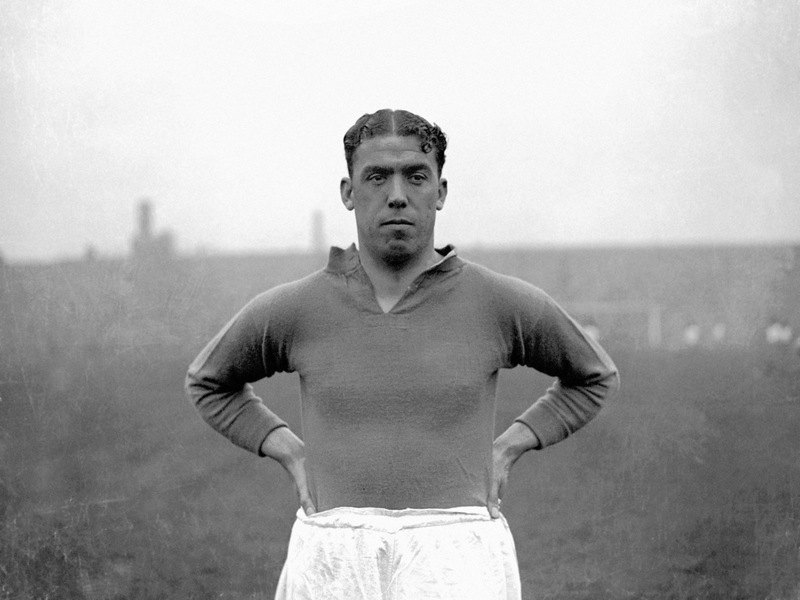 Bill ‘Dixie’ Dean poses before Everton’s league match at Arsenal in September 1931. Now that’s a hard man. Im 100% red, but than man looks boss. Has a bit of a Tevez face going on too..
I’m reminded of the Bill Shankly quote of how Dean could draw a bigger crowd to Goodison, on a Saturday, than Everton could. When speaking at Dean’s funeral, I believe.